With St Georges Day on the 23rd April, this is an appropriate picture to put on the web site today (18the April). 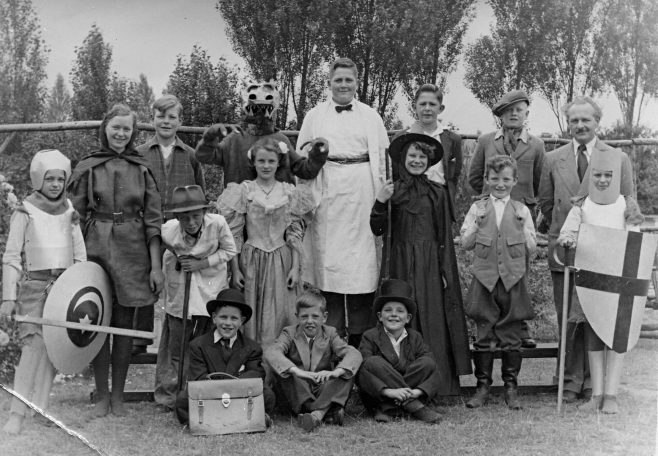 It shows Forest Town children on the church fields, possibly in the early 1950’s. I can only name two of them, the tall boy in the centre back row in the white apron is Gordon Ingham, and the dragon I believe is Eric Marshall. Who are they others?